This was at the Golden Haven Spa in Calistoga. 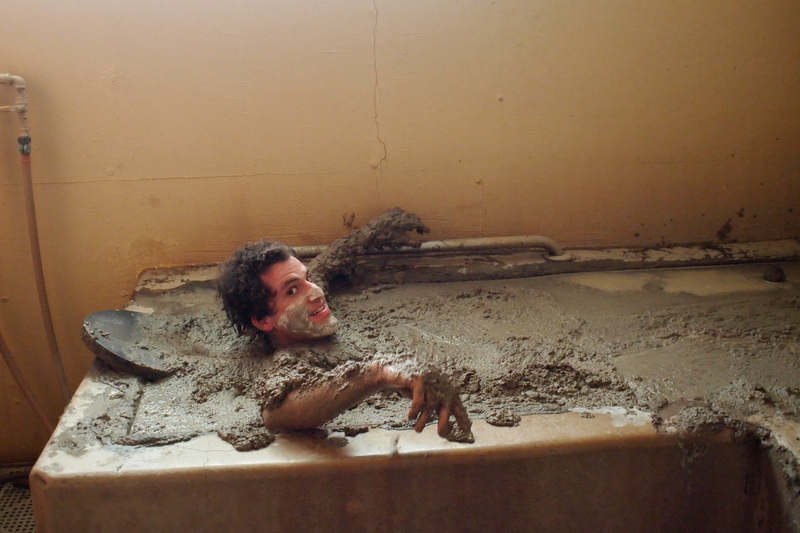 Years ago the mud baths started out as simple hot tubs. 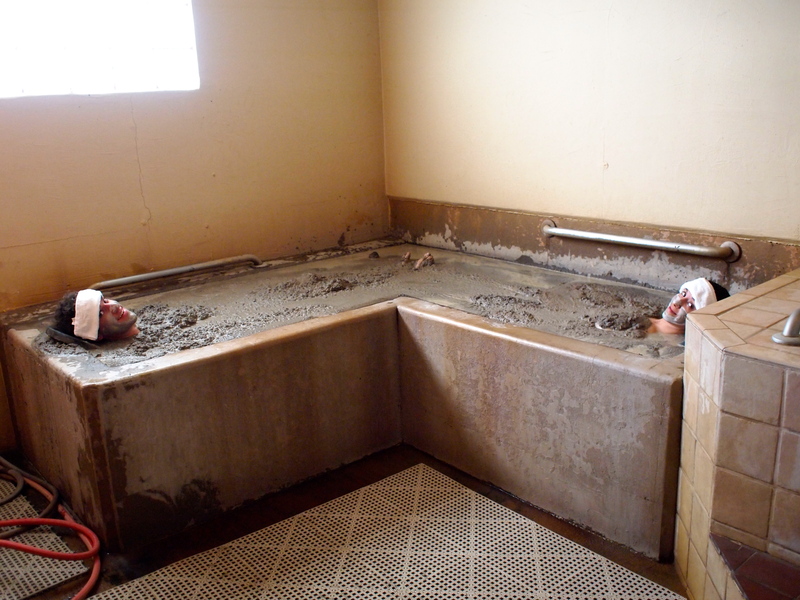 But with the water shortages, the spa stopped replacing the water with clean water. Fast forward to 2012 and the water is now a really think mud. Ha ha. That was a joke. Actually they bring moss from Canada and use the local thermal waters (they have geysers, remember?) to make a really hot mud. Really hot. 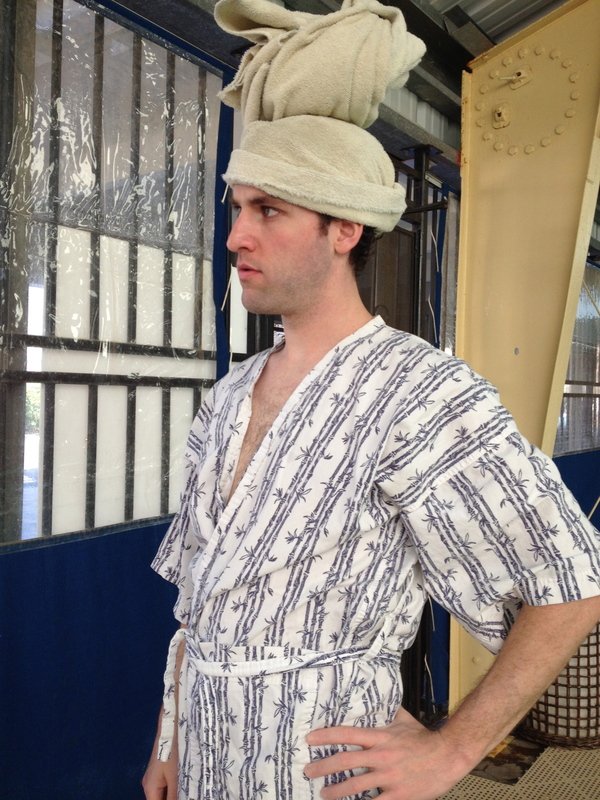 Then you get a massage. Highly recommended! Refreshed and clean and manly after a mud bath. Previous PostLittle Old FaithfulNext PostHacked! Again!